First editions for your own collection are always hard to find. But if, like me, you are a keen book collector, you may sometimes have seen a book at a bargain price which you know is of value to other collectors. You may not have bought it because you already have a copy, or perhaps it is not within your particular field of interest. When you are looking for books for your own collection, however, they can often prove very elusive, and sometimes expensive to purchase. This article is aimed chiefly at collectors who are now using their knowledge of collectable books to finance their hobby. It should also be of interest to collectors who can find out what to expect when buying books by post, and may contain some ideas of benefit to established postal booksellers. One of the attractions of setting up a small postal book business is that the initial cost is very small. Most postal concerns are run from home, and there is little equipment necessary to get started. Ideally, you should have a room set aside with plenty of shelf space (although there will probably never be quite enough), and a desk or table on which parcels can be prepared. But a corner of a room will do initially, and this can be quite adequate for a small concern. As soon as the business is selling a reasonable number of books, it will become obvious that a heavy duty sellotape or parcel tape dispenser is a great advantage, as it will save time in wrapping parcels. The only other requirements are two cash books where the Sales and Expenses can be recorded. These two books will enable you to keep a monthly record of profit and loss. They should also contain all the information necessary to complete your tax return in the event that the business shows a profit. For further details regarding your tax returns, you should consult one of the many guides published for small businesses. The Sales book should contain details of all books sold, the customer's name and address, the date of the transaction, and the selling price. This will be of great value after a few months, as it gives a record of whether regular customers have already purchased items from you. It will also detail the price you can expect to obtain for duplicate copies of items which you have already sold. The Expenses book should contain details of all the expenses incurred such as postage, advertising, stationery, printing and, of course, the purchase of books for resale. For tax purposes you should obtain and keep receipts for all major expenses. Here we reach the chief problem for the postal bookseller: how to buy books cheaply enough to be able to resell them at a profit. Another article on this site contains details of how this can be done, by highlighting various fields of interest for collectors, and where to go to buy books at reasonable prices. Assuming that you have some books to sell, however, the next step is finding someone who wants to buy them. This will involve you in placing your initial advertisement, either in one of the magazines which publish book lists, in your own printed catalogue, or on a site such as this one on the internet. The advantages of advertising on the internet are obvious; you have a much larger potential readership, who can search electronically for items of interest, and it is generally much cheaper than other forms of advertising. Wherever you advertise, make sure your advertisement is either written very clearly, or preferably typewritten, to avoid errors. This is in your own interest, as any error in your address or telephone number, or indeed in the descriptions or prices of books for sale, is likely to lead to unhappy customers. When advertising your books for sale, you must include your name and address (preferably including the post code). You should also include your telephone number, as many collectors like to ring initially to see if items are still available. If you definitely do NOT want phone calls, you should state this clearly at the top of your listing. You should also make your terms of business. This must include whether items are 'post free' or 'post extra', as this can make a considerable difference to the price paid by the customer. You should also state whether you require 'cheque with order' (CWO), i.e. a cheque or postal order must be sent with your order, or 'cheque on receipt' (COR), i.e. you are prepared to send the book before receiving payment. This is largely a matter of personal preference - I have experienced no difficulties in buying or selling books using either method - but it should be clear from your advertisement exactly what you require. It is important, too, to make it clear whether you are prepared to reserve books over the phone. One warning here: if you do reserve a book for a customer, be sure to take their name and address, or telephone number, as some collectors forget that they have reserved books. For the same reason, it is worth taking the details of any other customer who rings in case the sale falls through. In any event, it is reasonable that you should only reserve a book for seven days for any customer before offering it to another. The sales listing itself is best presented by allocating a line to each item. For magazine advertisements, arrange the items in alphabetical order if possible, for example by the author's surname for fiction, or by the actual name for annuals (from Avengers to Z Cars, for example). This also makes the list easier to read and increases the possibility of an item catching the eye of a collector. An internet site such as this one arranges items in alphabetical order anyway when they are found on a search. It is also a good idea to break down your list into separate headings such as 'Childrens Books', Non-fiction', 'Antiquarian', etc., if a variety of books is being offered for sale. This is useful on an internet site such as this one, which uses these headings as 'categories' which can be searched by collectors. The description of each item for sale should contain all the relevant information needed by a potential customer. This will be the title of the book, the author (if given), the date of publication (if given), and whether or not a dustwrapper is present (if applicable). It should also list all the faults of a book, and finally a general rating of the book based on the standard descriptions given elsewhere on this site. Wherever possible, use the standard abbreviations given on this site for describing the book, as they are universally understood and save space in the advertisement. The price required should also be specified. Some advertisers ask for offers on items, but I feel this sometimes puts collectors off, and try to avoid the practice if possible. Pricing items for sale is sometimes difficult. This subject is covered in another article on this site. In the case of non-fiction books, the title is usually more significant than the author, so it is probably best to put this at the start of the entry. For non-fiction books, too, it is helpful to subdivide an advertisement into sections of books about different subjects. For fiction, the author is almost always the major selling point, so to help when searching an alphabetical list, the author's surname should begin the entry. Determining the date of publication of a book can sometimes be a problem. Most fiction and non-fiction titles have a copyright date given either in the preliminary pages of the book, or very occasionally on the last page. Alternatively, a initial publication line or a 'Reprinted' line is given with the date. If no date at all is given, you may need to consult a detailed bibliography to determine when the book was published, or alternatively put a 'nd' (no date) entry in the description of the book. In the latter case, a potential customer may have more specialist knowledge of the publishing history of the title than you have. Thus he may be able to tell from your description of it when it was published, and if he is interested in it. In the case of annuals, there is often some confusion about the year of publication. For example, the 1979 'Doctor Who' annual (with 1979 on the cover and spine) was actually published in 1978. 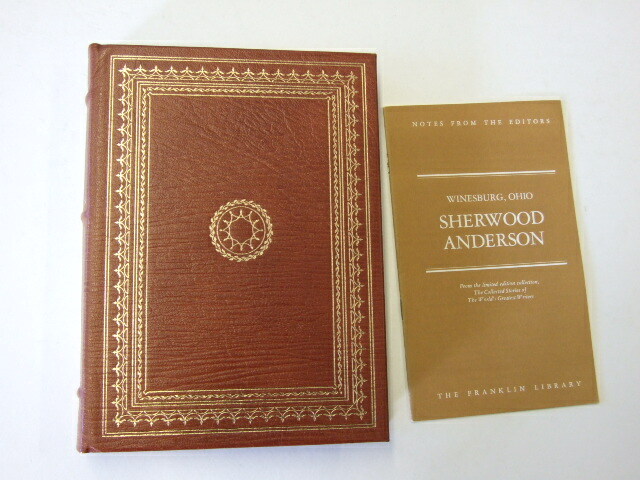 It has the words 'copyright 1978' printed on the opening page, with the date in Roman numerals. When a cover date is given, it is best to use it in the title of the annual, e.g. 'Doctor Who 1979'. If not, put the copyright date in brackets after the title, 'Doctor Who' (1966). If no date is given at all, as is often the case, the best solution is to give the opening story in the annual as part of the description, e.g. 'Bobby Bear' annual ('Bobby the Robot Boy'). One final point when dating books - learn Roman numerals. They are very common in copyright dating, and only take minutes to learn! In general, the absence or presence of a dustwrapper is of great importance to a collector, and consequently to the value of a book. Therefore it must be described properly in an advertisement. The presence of a dust-wrapper should be indicated by the letters 'd/w'. Alternatively, books can be listed under headings of 'with dust-wrapper' and 'without dust-wrapper'. If no dust-wrapper is mentioned, it will be assumed that one is not present. Note that dust-wrappers are crucially important to value, particularly of first editions. If a dust-wrapper is present but not described, it should be in the same condition as the book. Otherwise, the dust-wrapper should be described separately. The descriptions should be based on those given elsewhere on this site, with any major faults such as serious tears or missing pieces (chips) noted separately. In any advertisement it is essential that all the faults of a book are listed. These faults include inscriptions, torn or missing pages, and worn or marked covers. Some book-sellers neglect to mention defects which they call 'minor faults'. But it is really up to the collector to decide what he considers to be a 'minor' fault. So, if in any doubt, note any defect. This is also in your interest, as collectors certainly will not buy material from you in the future if they think you have sold them items that have not been accurately described. One standard that all book-sellers should maintain is a money back guarantee if customers are dissatisfied. A refund should include the cost of any postage incurred by the customer. A refund should be offered whenever the customer has cause to complain - conditional, of course on the item being returned. Situations like this usually arise through misunderstandings and, in my experience, are very rarely due to a seller deliberately trying to mislead a client. If you think a customer is being unreasonable, you should refund his money, but you may well be advised not to deal with him again.